Your RVing experience may include attendance at an RV rally. There are different types and sizes of rallies. Large national rallies are hosted by Good Sam or Family Motor Coach Association (FMCA) . There are “brand club” rallies for owners of a specific brand of RV. In addition to a major annual or bi-annual RV rally, some of these RV clubs and manufacturers may host regional events. And there are numerous local chapters of various types that may hold RV rallies throughout the year. As a general rule, the larger the RV rally, the more activities and scheduled events. Chapter rallies typically center on the gathering of a smaller group, yet often include side trips, activities, door prizes and so on. The cost to attendees will vary too, depending on the size and location of the rally and what is included. Sometimes meals are part of the RV rally price, sometimes not. The bottom line is that there are no cut and dry rules about what to expect. But here are some things that might be part of an RV rally. Even though this is based on one of the big annual rallies, it can be used as a checklist of things to look for when deciding which rallies to attend, and what to do when you get there. Seminars: At the big rallies, seminars are a primary activity for attendees. We have seen seminars in several flavors: Technical/educational seminars usually address the “how to’s” of a particular component (such as the generator, specific brand of engine, chassis, batteries, etc. ) or aspect of RVing (on (i.e., towing, satellite systems, insurance, etc.) Round table sessions may have an informally structured agenda, but will often “go with the flow” of those issues surfaced in the session. If you are struggling with a specific problem, you might get some help by bringing it to an appropriate round table discussion. Then there are lifestyle seminars that deal with subject matter beyond the operation of the RV. Often there are seminars on managing health issues, emergency medical assistance, staying connected on the road, cooking tips, staying fit, etc. Travel seminars offer helpful information about RV travel to destinations in North America or overseas. Or they may be about a particular tour or caravan program. We have seen both types and recommend them for anyone interested in venturing beyond mainland USA to Alaska, Canada, Australia, New Zealand or elsewhere. Bear in mind that the RV rally seminars are typically presented by a company in the business of the seminar’s subject matter. While they are not apt to give you a big sales pitch, it is likely that you will hear a hint of a sales message at some point in the material presented. Crafts: You might learn how to make something at an RV rally. As an example, an annual FMCA convention included workshops on afghan loom knitting, beaded jewelry, crocheted items, plate decoupage, seasonal decorations, candleholders, note cards and more. Service: This may only be a consideration at larger rallies, but check it out. We have seen it work in a couple ways. At some rallies sponsored by a particular motorhome manufacturer, you may still be able to get things fixed at the RV rally site. No major repairs or maintenance, and you still have to pay for parts, but this service can help with minor fixes. At an FMCA rally, various suppliers may be on hand for emergency repairs. At one of our first FMCA conventions, we stopped by the service center and accomplished several things: got a supplemental tow brake replaced, a satellite TV problem diagnosed and resolved, arranged for shipment of a replacement stove part and learned how to fix an issue with our refrigerator. A worthwhile stop indeed. While things may have changed in recent years, it is still worth checking out what might be available if you need help. New RV Displays: Even if you are not looking for a new RV, it is fun to browse. The big RV rallies may have hundreds of new RV models on display. Manufacturer-focused rallies will usually showcase new models. And you may find new RV displays at smaller rallies as well. 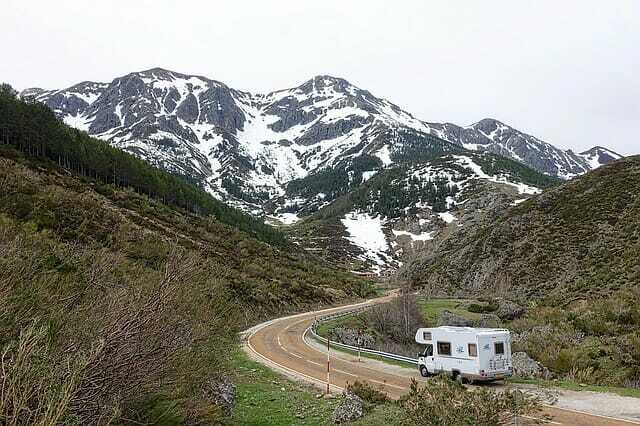 If you are in the market for a new RV, you might find competitive pricing at an RV rally. Do your homework first, so you will know a good deal if you see one. Exhibitors: A full-blown assortment of vendors and exhibitors can be found at large rallies. You can take advantage of the opportunity to talk with company reps in person and do some comparative research, serious shopping or simple browsing. Products and services can run the gamut from satellite systems to fans to electronics to RV renovations to camping supplies to tourism boards to cleaning potions to RV parks…and just about anything in between. Even if you can’t obtain RV service on site, a rally can be a good opportunity to get estimates for things like RV renovations or other repairs. It depends on who is manning the vendor booths and displays, so ask. At a recent rally, we got competing quotes on installation of interior shades and for some body work we need to have done. We also had a satellite dish installed on the roof and got a quote for some possible renovations inside our motorhome. Socialize: RV rallies provide an opportunity to get together with old friends and make new ones. The social aspect is central to the smaller rallies, often the primary reason for getting together. Even at a large rally, a group of RVers may arrange to caravan in and park together to make it easier to socialize. RVers can also connect with each other after arrival via cell phone or the message boards often found at large RV rallies. Conversation, card games, board games, dining out, impromptu get-togethers under someone’s awning might be part of your RV rally experience. Or you might chose to just go to the rally and see who you meet as you make your way through rally events and exhibits. Entertainment: The big, high-attendance rallies usually have entertainment every night. We always attend and enjoy these performances after all, it is part of what you pay for with your admission price. Large rallies often have entertainment going on during the day as well. Our experience with regional rallies and manufacturer’s rallies is that they also had evening entertainment. Smaller chapter events often will include a planned meal or activity for the rally evenings. Safety Education: Depending on the rally, you might find a few safety-related events worth mentioning. One is a Safe Driving Course, usually presented by one of the insurance companies. It is worth considering if you have not had any training in driving an RV. Completion of such a course might entitle you to an insurance discount, but you should check that out with your specific insurance provider. Another thing worth doing is to get your RV weighed. RV Safety Education Foundation (RVSEF) or some other organization equipped to weigh RVs may be in attendance at rallies to do weighing and sometimes seminars as well. If you have not obtained wheel position weight measurements for your fully-loaded RV, take advantage of this service at a rally. Read the RV rally program to find out when you can sign up for this service and make a priority to get an appointment on your schedule. We have also seen other seminars on personal, fire and RV safety at various rallies. Optional side trips: Rally organizers may plan side trips to local attractions or venues in the area. Large rallies often have a variety of side trips to choose from, with respective costs. Smaller rallies may do something similar, or may simply offer suggestions on things to do or places to visit while in the area. Prioritize: As evidenced by the above list, you will have more than enough to occupy your time at a rally. Chances are that you won’t be able to fit it all in. So take some time to decide what you really want to get out of the rally and prioritize the “must do’s” vs. the “important” vs. “would be nice” activities and seminars. Be flexible and leave some breathing room in your schedule. And definitely take the time to say “hi” and chat with the people you meet. The informal conversations are among the best things to do at an RV rally. You can usually find an upcoming RV rally list via RV Clubs such as Good Sam, FMCA, Escapees and other clubs. A key thing to remember about RV rallies is that they usually only offer dry camping. Even if electricity is available at some sites for a fee, it is unlikely to have water or sewer hook ups. Most rallies have limited dump station facilities that are shared by many RVs. Water is scarce and usually not potable. This is not a problem for most RVers who know the conservation techniques of boondocking, but set your expectations accordingly. If you plan to dump your tank at the end of a rally, expect to wait in line because others will have the same plan. Bring fresh water in your own tank and use it sparingly.